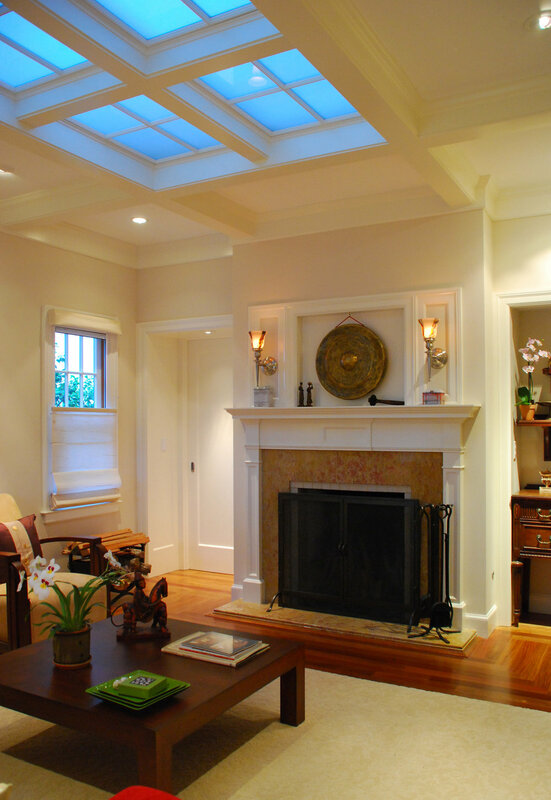 In this addition and renovation project of a suburban tract home in the Harbor Bay neighborhood of Alameda, we sought to enhance the architectural character of the interior spaces and exterior facades, focusing on converting the home’s poorly designed floor plan into a series of comfortable living spaces. Central to the project was adding a spacious and well-lit conservatory office accentuated by a stained wood interior and ceiling trusses. The richly detailed renovated kitchen, living room and bathrooms added warmth and vitality to the home.